In 1927, while a student of architecture at the Moscow Vhutemas, Georgii Krutikov presented a vision for a flying city. More than just a flight of architectural fancy, Krutikov's flying city was a utopian dream, a plan to solve the seemingly intractable problems of overcrowding and resource depletion by moving humanity's living quarters to space. Inspired in equal parts by sci-fi dreams of space travel and the revolutionary idealism that still percolated in the Soviet Union at that time, Krutikov created an incredible amount of detailed information about his city: sketches, drawings, plans, and more. 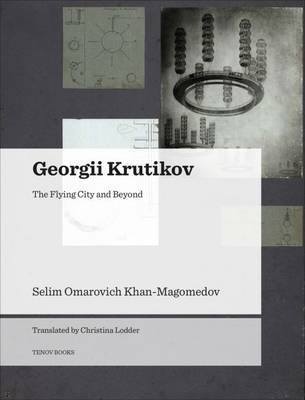 Krutikov's flying city has been cited as a major influence on Russian modernism for decades, yet little has been written about the design, its creator, or his subsequent architectural career. This beautifully illustrated book fills that gap, presenting a detailed study of Krutikov's scheme and its underlying ethos, then tracing Krutikov's later work as an architect. It will interest-and amaze-all fans of the avant-garde, architecture, and Russian history.